And the museums! The Rijksmuseum, the Stedelijk, and the Van Gogh , which just reopened after decades of renovation. And then there’s the cheeses, the chocolates, the Stroopwaffles, the tulips, the prostitutes, the drugs, the wooden clogs, the windmills, the dykes, the canals, the bicycles, the ladies scrubbing their doorsteps. For a country with barely twice the population of New York CIty, it’s bursting with clichés. I am waxing rhapsodic about the Netherlands today because I have booked my tickets for a week there in mid-November. Not the loveliest time of year to be there perhaps but I did not choose it. I was invited to be a keynote speaker at the conference of The European Council of International Schools and to tell several thousand teachers of the wonders of illustrated journaling and how it can help inspire and educate the yoots of today. Patti, Jack and I went to Amsterdam eight years ago and had a lovely time as tourists. Now I am hoping to augment my speechifying and museum going with a few encounters with Dutch sketchbookers. If you or someone you know can fill me in on the drawing scene there or introduce me with some people who like to draw, I would be most grateful. Or, failing that, you can just recommend a decent Indonesian restaurant or a “koffiehuis“. Previous Post Welcome to America! Next Post A hut of my own. Believe it or not, the cheesy boat tour of Amsterdam gives you unusual viewpoints that might be sketchable. I think just finding a quiet street in the old quarter of Amsterdam would be a lovely place to sketch…depending on weather. I think you’ll have no problem filling your schedule. Danny, I’m Dutch and I’d love to meet you halfway November in Amsterdam! Hi Danny. Catch a ferry from Centraal station across the water (take your bike) and ride out to the fields and find a windmill. The flower markets (get there before sunrise to find a nook to sit in) . I am so jealous !! Mary Ann Moss (Dispatch from L.A.) is leaving tomorrow for two weeks of touring & drawing in Amsterdam. I suspect she could offer quite a number of suggestions upon her return. She’ll be blogging from there during her trip…you might want to follow along. Jealous of you both…that trip’s on my list! Well, I think you have mentioned everything that one could possibly look at in Amsterdam….just go there (again) and breathe it in. There is also the flea / antique market to see. It’s all there, the buildings, the bicycles, the flower market (amazing), the art galleries..Oh, I love it there. Anyway, have a great time, I am also very jealous, I am overdue for an Amsterdam hit! Don’t forget to ride bikes!! 😀 Have a wonderful trip; they are fortunate to have you. I have not been there in 50 years, so … You might take a look at this link … http://www.timeout.com/amsterdam/features/7/20-great-things-to-do-in-amsterdam … you’ll find 20 suggestions. Bon voyage and happy sketching!! I look forward to the art journal(s) you fill there! agreed about the canal rides! great views of great things, worth it! of course, ride a bike around!! Never buy a ticket in the tram! Use an ov-chip card! I might have to follow in your footsteps and start planning a trip to Amsterdam, my sister spent some time studying there and I saw some pictures she took.. That peaked my interest for the first time. Recently I purchased a small kit of watercolors, it’s been a while since I tried anything else besides graphite and ink so it’s gonna be interesting to see what comes of it. I’m from Amsterdam and would love to meet up and show you around. The Hermitage Amsterdam is new and interesting. http://www.hermitage.nl/en/. The Rijksmuseum was closed for about 10 years and is just reopened. Behind Central Station there are ferrys, the left one to the NDSM-werf is a nice free 10-15 minutes ride with good views, and then you can have a coffee at the IJ kantine, draw some boats and go back. Boats leave from central station at .15 and .45. You can also try to make an appointment at the Six Collection http://www.collectiesix.nl/en/home-english. They have one of the most beautiful Rembrandt paintings, portrait of Jan Six, which is only in summer displayed at the Rijksmuseum. The rest of the year it is at this private house of the Six family. I would love to come to Amsterdam to do some sketching with you. I live in the beautiful east of the Netherlands, two hours by train from Amsterdam. Finished last year a four-year-study there, one day a week. Hans en Grietje is a real nice place to have coffee. On the canal, near the just re-opened Rijksmuseum. Well, as fate would have it, you are listed right next to a Dutch sketch artist in my feed reader! So check out Koosje at http://koosjekoene.blogspot.nl/2013/07/sketchcrawl-last-saturday.html. She looks like someone who could arrange for you to meet some fellow artists. Have fun, it’s a wonderful place to spend some time. I’m so happy you are doing this! I was a student at the Frankfurt International School; it was an experience that gave me a lifetime of happy travel memories (along with some pretty bizarre/funny ones due to a significant language barrier). I hope the teachers bring back lots of great ideas for their students to start journaling. I have a box of ephemera from the mid-80s that I want to turn into a journal (or two). You’ve inspired me to dig it out and get started. …and I cannot recommend a side-trip to Bruges, Belgium highly enough. It’s easily accessible by train and absolutely beautiful: http://visitbruges.be. The walled city, the canals, the 300-beer menus (‘t Brugse Beertje), the manneken pis…and the Chocolate Line had the best, freshly made chocolate I’ve had anywhere. Maybe the site amsterdamdrawing.com can give you some info you are looking for, there are a lots of names to find there. And for locations, don’t stick to amsterdam. Utrecht is a lovely city, the centre has a lot of nice old spots too and everything on walking distance (by train only half an hour from amsterdam). If you want to see some impressie waterworks: visit Neeltje Jans: everything about watermanagment and ‘dijken’. Very Dutch: Volendam en Marken. “Zandvoort aan Zee is, still, the only resort in the Netherlands with a direct train almost to the beach (150 meters) and therefore very easy to reach by train! If you’re in Amsterdam and feeling you want some fresh air and space this is the place. The trains are very frequent and pleasant. Zandvoort is a fantastic long open beach with plenty of things to do and see. How exciting, Danny! I went to an International School eons ago in Bangkok, and you’d be impressed at the number of kids away from their own homeland who are getting terrific educations at them. I think learning how to create a visual journal would be especially important to record those times in their lives. I’ve never been to Holland, but while getting an MFA in Graphic Design it was certainly pounded into my head that Holland is clearly one of the most important birthplaces of modern Graphic Design (not that the English, Swiss, Germans, or Japanese had anything to do with it…) If I were you, I would go to MOTI – http://www.motimuseum.nl/en/home/4 and see the “100 years of Graphic Design” exhibit, although it is in Breda, clearly much further south than you may be. Enjoy and safe travels. I’m an Art teacher at Zurich International School and will be attending the conference. I was very excited to see that you will be a speaker and leading a workshop as I am a big fan of your work. 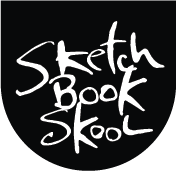 If you’re looking for a sketch crawl partner after the session I’d love to join you. I was there last year at this time and found some wonderful opportunities to capture the spirit of the city. Looking forward to a great weekend. I’m so jealous! I studied in the Netherlands for a semester in college, and I LOVED it! If you have time to get out of Amsterdam, take a short bus-ride north to the little town of Edam (yes, like the cheese). It is so cute and quaint and has great scenes to sketch. You can also rent a bike from a place called “Bike-a-Dike” (no joke), and take a ride through the countryside. It’s heavenly! Hotel de Fortuna is a great place to stay, too, but even if your accommodations are already set, it does have a nice restaurant in it. Have an AWESOME time! Dear Danny. You can visit The Hermitage. There is an exibition about Gauguin, Bonard and Denis. It is beautiful. (There is a beautiful drawing of a dog!) Don’t forget to show up in the museumshop and say hello to me! A beautiful place is De Oude Kerk, in the centre of the red light district. It’s just renovated and they have a very nice map of the church with a drawing of a Dutch artist Jan Rothuizen. It’s I think, your style! And don’t forget to visit a neighbourhood that is called De Pijp. There you can find very nice buildings build in the style of the Amsterdamse School. You can find this style of buildings also in the Westpart of the city. It’s called Het Schip (The ship) and it is also a small museum. Don’t forget to travel to the South part of Amsterdam. There is a square called Victorieplein. There you will find the first skyscraper, build around 1920. It’s called De Wolkenkrabber which means skyscraper. If you want to travel out of Amsterdam take a bike and go to Durgerdam. Or take a train to Den Haag and Scheveningen where you can see The Panorama Mesdag, a beautiful and huge painting of dunes and the seaside. Then you can visit the Noordermarkt, on mondaymorning and saterdaymorning. On mondays you will find a lot of bric a brac and on saterday there is a market with a lot of yummy healthy food. My advice is to buy a museumcard. It’s 55 euro, you can buy them at the museum. Almost every museum costs around 15 euro, so if you want to visit the highlights Rijks, Stedelijk and Van Gogh (I think the last one is open on Fridaynights too) and the Hermitage, then it’s cheaper to have a museumcard. Then you can go twice or more to the exibition or go to a koffiehuis and come back later! I wish you a very nice stay in my town! Just two more things: At the Amstel you can find a shop called Vlieger. They sell all sorts of paper; I think it’s just the place to be for you. It’s closed on sundays. On the Stadhouderskade, near the Heinekenbrouwerij you will find Van Beek, a shop full with artists material. I was born and raised in Amsterdam, so I would love to show you around and take you to great spots off the beaten track, to sketch together. Thanks to organizing Sketchcrawl Amsterdam, I know quite a few urban sketchers and sketchbookers, so if you want me to set up something for you to meet some of us Dutchies, consider it done! I am sending you an email with my details in it. One more thing: don’t rent a bike; you can borrow mine. You have to go to Delft …. home of Vermeer with a museum and his “studio”. Its about an hours drive from Amsterdam but is a lovely small town full of canals and tiny streets….home also to Delft blue and white pottery…. Visit the library at the Oosterdokkade 143 (free, nice building, nice view), then leave the building go to the left and have lunch at Hannekes Boom: https://www.facebook.com/HannekesBoom, than take the ferry (free) behind Central Station to NSDM island (http://www.ndsm.nl/en/over-ndsm/), a creative hotspot. Have fun! And yes, it is a good idea to visit koosjekoene.blogspot.com. A creative person and she lives in Amsterdam. Hi Danny, welcome back to Amsterdam. Let’s hope the weather is not too horrific mid November. When visiting the Rijksmuseum, either go very early (before 10 a.m.) or late afternoon. Anything in between will have you stand in line for ages. Preferably buy your tickets online. For coffee I would suggest ‘Villa Zeezicht’ in Torensteeg (centre), they have the best apple pie in town. For Indonesian I agree with roosnans: ‘Blauw’ is where you should go. It’s a little off centre, West of the Vondelpark, but worth the detour (and every Euro you’ll spend there). If you plan to do a sketch inn somewhere, let us know. I’m a free-lance writer / journalist who just started to do some drawing. Enjoy your stay! Yes “blauw” for indonesian food! And on Saturdays the market next to the Noorderkerk! Was just in the Netherlands for a self guided bike tour of Friesland (loved it) and was striking how different the people were there compared to the much more urban people in Amsterdam. So I’d suggest getting out of the city and try and wander around the more rural areas. There you’ll see the landscapes that many famous artists painted and get a sense of the true beauty of the country. I’m not saying to ignore Amsterdam because I really loved my time wandering in that city, but just that my time in the countryside will remain with me for the rest of my life. Danny, Blauw is very good for indonesian food, but very trendy and quite expensive. You should try “Kartika”, Overtoom 68, amsterdam. Not far from the Leidseplein, authentic and fantastic!!! And not expensive, only 18,50 pp excl. the beer. You have to book, it is very popular and small. 020 6181879. Try it! Wish I could join you, but I moved to Tuscany 11 years ago. (Just had Brenda Swenson for lunch at my home) but go back to amsterdam regularly. Hi Danny, lots of ideas already sent to you. I just send you this link, http://www.jordaanweb.nl/startamsterdam/indexcom.htm?/startamsterdam/indexcom2.htm&1 which might also be interesting. You are also invited to come to Leiden (hometown of Rembrandt and a very nice city). I live in the center and am happy to welcome you. Or just go your own way! wonderful reasons to get to be there. Would also love a sketching trip in Amsterdam. Might do that on the Sunday afternoon. I agree that a canal cruise is a good idea for sketching. There are also lots of canal side restaurants but perhaps too cold to sit outside in November although some do have heaters. Until November!